Angry Birds Games are not necessarily familiar to the user's current gadget. Simple games on the various birds that are angry, it is interesting in many circles, both young and old. This unique game developed by Rovio Mobile, which is a Finnish computer game developer. This game tells the story of a flock of colorful birds with their respective expertise. This bird trying to take the eggs were stolen by a group of evil green swine. At each level, the pigs are protected by structures made of various materials such as ice, wood, or stone. Goal in this game is to eliminate all the pigs in each level. The birds are attacking the structure with a controlled using a catapult by the player. Development game by Rovio Angry Birds began in March 2009 and now fans have played more than a million hours every day playing Angry Birds. Starting with inspiration from the sketches of birds without wings, this game was first developed for IOS Apple in December 2009. First released, this new game show one episode of 'Poached Eggs' which contains 63 levels divided into 3 parts. The game is also developed for the smartphone version that uses touch screen systems such as Android. Rovio developed this game with the goal of making a game easy to play, but difficult to master. Angry Bird illustration was created by a designer named senior Jaako Lisalio. Angry Bird is the enemy pigs as at the time this game was developed, the swine flu epidemic is going on. Angry Birds has been hailed as an additive game, comic-style at low prices. With its popularity, the game was finally made angry birds for pc and console games such as PSP, Xbox 360, Wii, Nintendo DS and Nintendo 3Ds. 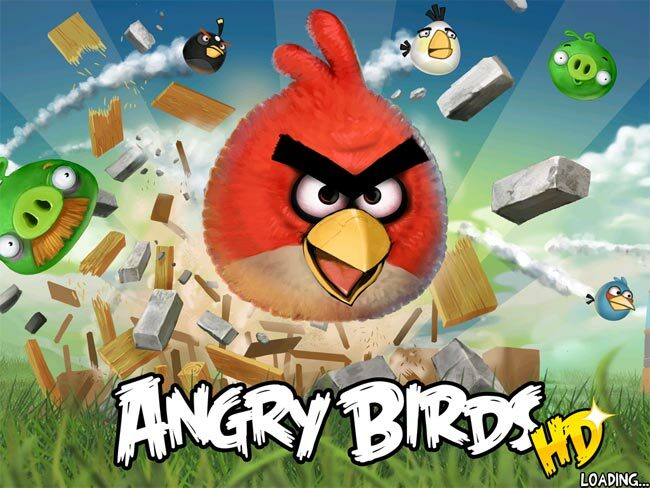 In early 2010, Angry Birds have also been developed for facebook. This project became one of the biggest projects with the development of more than one year. This game was tested in April 2011 and officially available in February 2012.